Hillsboro is Loudoun’s smallest town, with its most contemporary structure dating to the late 1800s and was described by an early traveler as "a town made of stone." 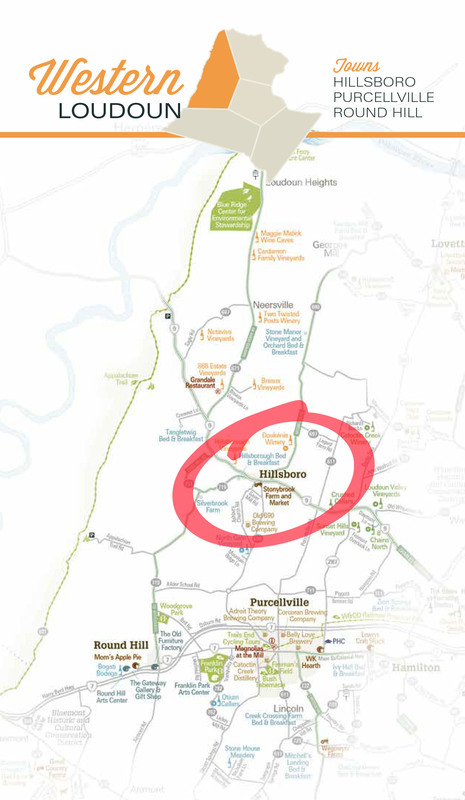 The town was previously known as The Gap due to its favorable location on the Vestal's Gap Road, but striving for a more alluring name than The Gap, Mahlon Roach, the first postmaster, chose Hillsboro (spelled Hillsborough until its 1880 incorporation), meaning "a shelter in the hill." Named appropriately for its geography, the wineries around Hillsboro offer some of the best views in the county. From the terrace outside Hillsborough Vineyards, visitors experience luxuriant gardens and trickling fountains, dramatically framed by the Blue Ridge Mountains.